We’re here, we’re there, we’re everywhere. The adventures of recruiting an amazing staff can take you to exciting places. From small southern towns to big international cities, we strive to hire the best counselors across the world (literally). Tomorrow I embark on my first trip to the U.K., like ever. I will be attending the Camp America recruitment fairs in hopes of finding remarkable young women to bring to our camp as counselors. Conor Murray, the program director at Camp Stewart, will be attending the fairs with me (in addition to being my main tour guide while across the pond). Lucky for me, Conor is from Scotland and will make sure I don’t get lost. Our fairs are located in three different cities. One in Edinburgh, Scotland on January 23rd, another in Manchester, England on January 25th, and the last in London, England, on January 27th. So why do we travel overseas? 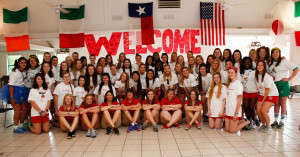 Hiring international counselors allows our campers to experience new cultures and backgrounds from across the globe. Our diversity at The Heart provides an open-minded atmosphere where customs & traditions are welcomed and shared. We’ve had counselors from places such as Mexico, Australia, Scotland, China, New Zealand, and more. If your Heart camper comes home calling the flashlight a torch and eating Vegemite – GOOD – this means a counselor shared meaningful parts of her culture and left a positive impression on your daughter. Technology can connect the world – but when the phone is put down, what really matters is human connection. Bringing the world to our campers is just another magical reason to love camp. What do we look for when recruiting? 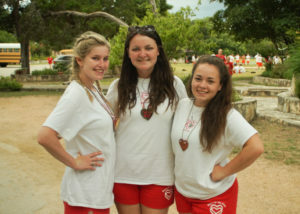 To ensure our campers have nothing but the best role models, we put applicants through an extensive screening process. To find the top candidates we look for great attitudes, strong work ethics, love of the outdoors, and an eagerness to guide campers to reach their potentials. We look for those who have a passion for inspiring young minds and the enthusiasm to make it happen. Counselors must be 18 years old and have one year of college completed – proving responsibility and time management. If an applicant is 17 they can volunteer as a Heart LITe (Leader in Training etc.) and begin enhancing their skills to become a counselor. Being a counselor is more than just leading an activity. Counselors are mentoring from the morning wake-up bugle to TAPS. They are there for the celebrations of accomplishments, the tears of homesickness, and the smiles of togetherness. 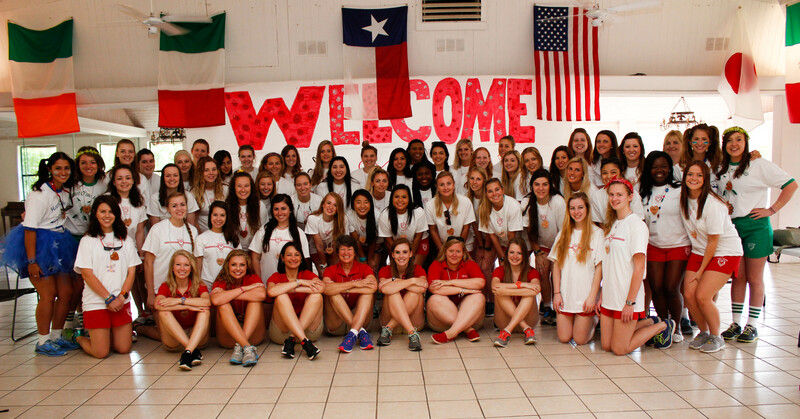 We strive to pick the finest young women to set the example that your camper wants to emulate. While traveling for work is a fun experience, we want to make sure our time is well spent. Recruiting counselors is more than just looking at a resume and a firm handshake – a lot goes into hiring the best staff possible. It is long days spent looking over qualifications and applications – it’s countless hours spent in face-to-face interviews, inquiry telephone calls, and reference checking. It’s listening to feedback and reaching out to previous staff. It’s early mornings and late nights. If this sounds exhausting, it is….. but I 100% love it. 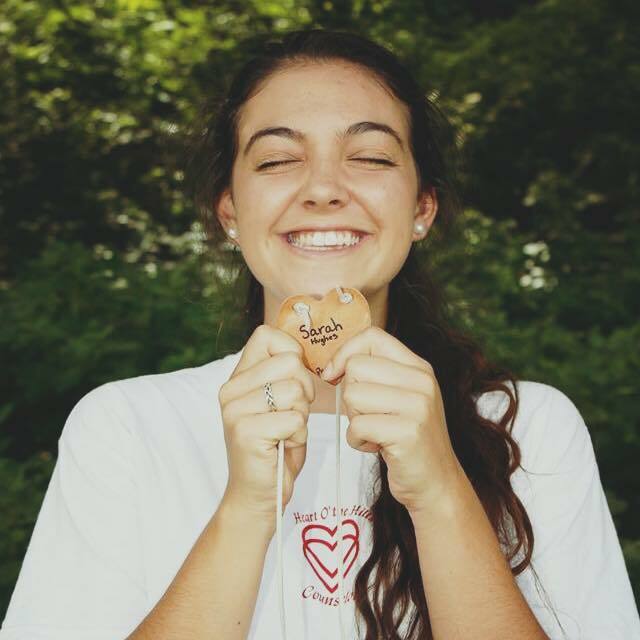 Finding the perfect counselors for our campers is our priority. What would camp be without the fantastic staff to make everyday happen? Being a camper myself, I can guarantee my counselors helped influence who I am today. My very first counselor, Amy, still has a lasting impression on my heart. She encouraged me to be brave, to make friends, and to enjoy the little things. Even from my midget days in 2003, I am still inspired by her compassion and patience. I am dedicated to finding the same timeless connection for campers today. I am happy to do whatever it takes to get the brightest personalities and most whole-hearted team for summer 2018. So if you see pictures of Conor and I having a blast in the U.K., know that we are totally having a blast – but more importantly, know that we are bringing back the most motivated and inspiring counselors we can find. ~Off to have an adventure….